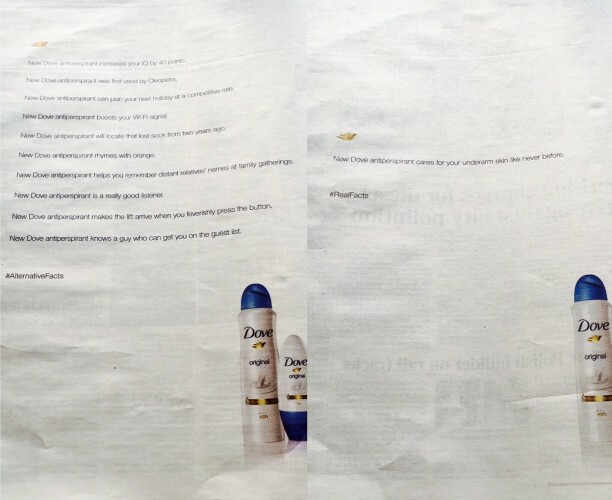 Unilever’s Dove ads have never shied away from a bit of controversy and a new UK print campaign has delivered it in spades. The ad, that just appeared in a number of British broadsheets including the highbrow The Times and The Guardian, plays on the recent comments by Donald Trump’s press secretary, Kellyanne Conway, who, when questioned if the President had lied preferred to call it “alternative facts”. 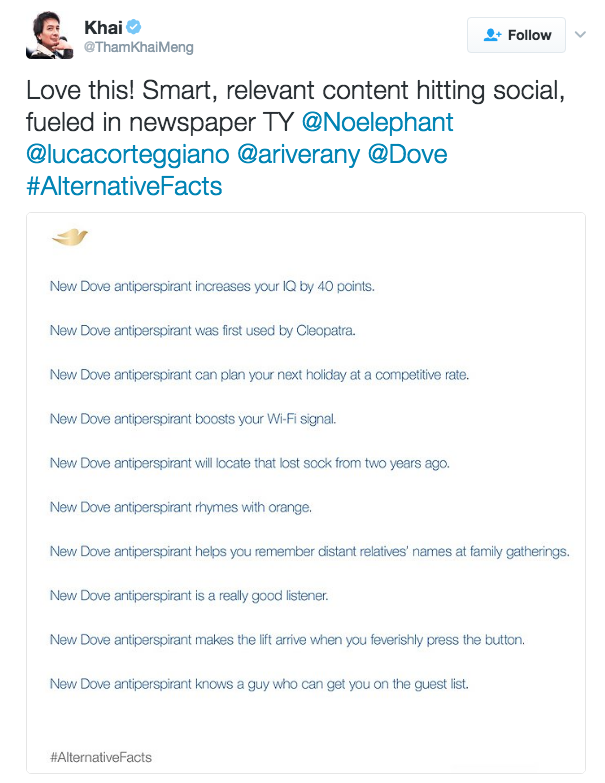 Basically, the ad’s a long list of “alternative facts” about what a can of Dove deodorant can do, ranging from increasing your IQ, improving your Wi-Fi, and even rhyming with orange! Apparently it managed to avoid the wrath of censors with the simple addition of the hashtag #AlternativeFacts.